Canoe on the Zambezi River through narrow channels and drift down endless stretches of one of Africa’s most majestic rivers. 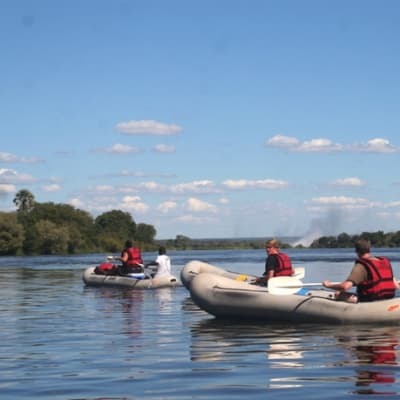 Zambezi canoe trips combine the exquisite stillness of the river with a raw wildness that is not easy to find in many other Livingstone activities. With a water taxi service, residents at Minor Hotels Resort can now arrive at their destination in splendid style. 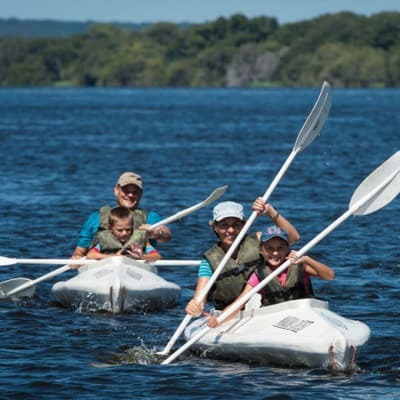 Follow a qualified canoe guide up to the Siankaba rapids in search of abundant wildlife! 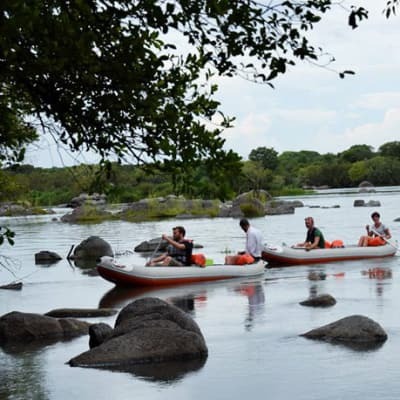 Take an overnight canoe safari, canoeing between many islands of the Zambezi River in an inflatable two seater canoe (with highly qualified and experienced guides). Your dinner will be served on a wild island on the river. At Mawimbi Bush Camp, canoeing through an amazing variety of habitats and breathtaking scenery is the main adventure offered. It is sometimes fast and exciting through near-rapid rushing waters and sometimes lazy and leisurely on the meandering river. You can also fish using the lure or the fly.